While owning a horse can be an extremely rewarding experience, these majestic animals require an incredibly amount of care. As horses are extremely intelligent, both their physical and emotional needs must be catered to on a regular basis, and it’s important to recognise this as soon as you take on the responsibility of a horse’s care. While this can be challenging for those who are unfamiliar with the equestrian lifestyle, there are nonetheless a few worthwhile tips to remember. This latest guest editorial piece takes a quick look at some practices that will keep your horse happy, healthy and full of life. Tack Horse tack is extremely important to consider, for not all suppliers will offer the same levels of durability, quality and comfort. Ideally, the tack needs to be based around the dimensions of the horse and the type of events that your horse may be participating in. Good tack is moulded around its unique body frame. Items such as bridles, halters, lunge lines and saddle pads must seamlessly fit the horse in question. Additionally, soft leather products such as those supplied by specialists such as Metropolitan Leather are highly resistant to wear while they will not chafe the hide. 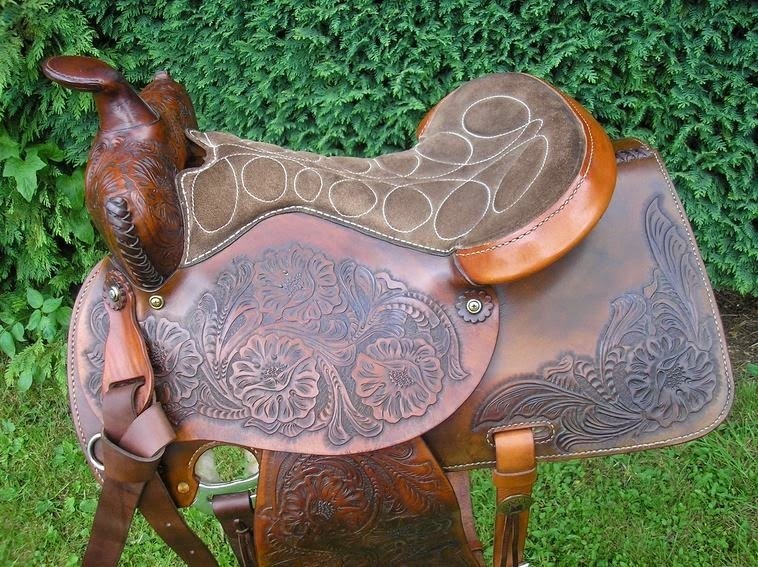 Recall that shiny and pretty tack may not always be the best choice; it will need to be as functional as it is visually appealing. In the world of riding, there is an expression which reads ‘Green on green can lead to black and blue’. In other words, an inexperienced rider and a new horse can both encounter problems. In this manner, ground training is important. The horse will need to respect the leadership qualities of its new owner. Without this trust, the horse may very well become wilful and refuse even the most basic commands. Establishing a firm relationship from the onset is critical in allowing the horse to know who is in charge. This type of tack deserves special attention, since choosing the wrong type of blanket can be dangerous to the horse. Even in the colder months, an overheated horse will sweat. This sweat will cool its body and place it at risk of developing hypothermia, so high-quality blankets are a must. Modern designs have a waterproof outer shell and an inner lining that is comfortable on the skin. Insulating fibres in between these two layers will enable the horse to remain warm and if sweating does occur, it can be wicked away from the body; lessening the chances of developing a chill. Not only is a clean horse a happy horse, but infections and illnesses are much less likely to occur. So, while it might sound obvious, it is important to groom a horse regularly and this importance can’t be stressed enough. The mane and the tail are the two most obvious areas to pay attention to, since kinks can be painful and longer hair is a breeding ground for mites and other bacteria. Combing the remainder of the hide is also just as critical. Removing any caked-in dirt and debris will allow the underlying skin to ‘breathe’ while helping to prevent rashes and other uncomfortable conditions. An expert opinion is always a good idea if you are not completely comfortable with the horse. Trainers can determine personality types and help you establish a rapport with the animal that will last for years into the future. This is particularly the case if it has suffered past physical or emotional trauma; a trainer can help to bridge the gap and the horse will begin to trust you as its new owner. Horses are wilful, intelligent and caring creatures. By providing them with the support and comfort that they require, both parties can enjoy a rewarding and heartfelt relationship. Do you have any top tips of your own you’d like to share? Drop a comment below!